The Apalis Evaluation Board features an USB 3.0 OTG port. Depending on the Apalis module, the port supports USB SuperSpeed host and/or SuperSpeed client mode. On the carrier board, there is a Micro-AB receptacle. If a Micro-B plug is plugged into this receptacle, the compatible module is running as USB 3.0 client. Plugging a Micro-A plug into the receptacle sets the module into the host mode. In this mode, for example USB 3.0 SuperSpeed Flash drives or other USB devices can be attached. A common way is using an adapter cable with a Micro-A plug on one side and a Standard A receptacle on the other. 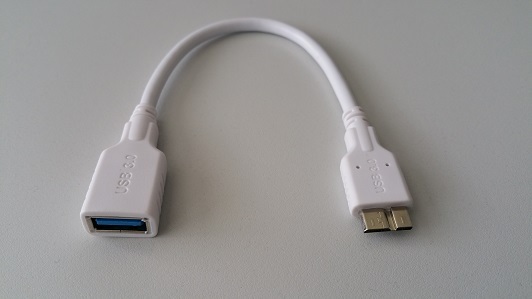 Such adapters are commonly called USB 3.0 OTG Cables. OTG adapter as well as extension cables are not included in the specifications. Nevertheless, since an OTG adapter cable plugged together with a Standard-A to Micro-B cable ends up being a Micro-A to Micro-B cable, the specification of the adapter is implied. Since the Micro-A to Micro-B cable needs to have the SuperSpeed RX and TX lines crossed and the Standard-A to Micro-B already crosses these signals, the OTG adapter is not allowed to cross the RX and TX lines in order to be compliant. Unfortunately, many of the USB 3.0 OTG cables that are on the marked cross the RX and TX lines. These cables are not according to the USB specifications and are not working with the Apalis Carrier Board. Only OTG cables that are connecting the SuperSpeed signals strait are compatible. 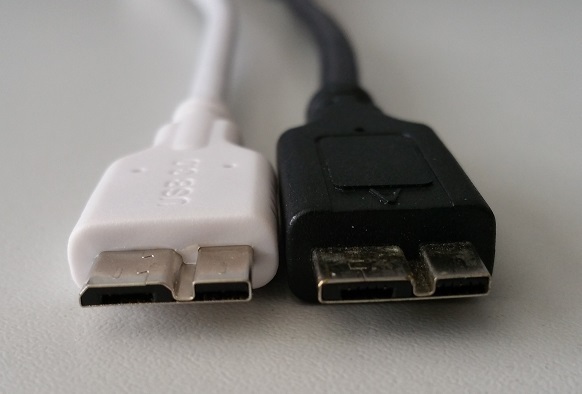 The non-compatible adapter cables often are promoted as OTG cables for the Samsung Galaxy Note 3 cellphone. The Micro-A plug of these cables also have a wrong shape. They are shaped as Micro-B plug even though it is a Micro-A plug. Toradex recommends using only the compatible USB 3.0 OTG cables for the Apalis Evaluation Board. If the incompatible adapter is used, the module might not be able to communicate with the device or falls back to USB 2.0 HighSpeed. The USB 3.0 Micro-AB receptacle is backward compatible with USB 2.0 plugs and cables. Since USB 2.0 cables do not feature the additional SuperSpeed RX and TX signals, there is no issue known with incompatible adapter cables. On the Ixora carrier board, instead of a USB 3.0 OTG Micro-AB receptacle, there is a Standard-A receptacle. Therefore, the issue with incompatible OTG cable is not relevant for this board.